Pacific Ergonomics is a dba (doing business as) under our legal name, Ergonomic Solutions, Inc. Any references to either name shall apply for purposes of our Terms & Conditions. All returns must be approved by Pacific Ergonomics. Once approved, an RMA number will be issued along with a return shipping label. Customers may ship under their own shipping account, but a tracking number must be provided to Pacific Ergonomics and the shipment must reference the RMA number. An RMA number is required for all returns regardless of shipping method. Returns must be received in original condition and in the original manufacturer’s packaging. A restocking fee of 35% will be assessed. Items damaged or showing wear will not be refunded. After a return has been inspected by our staff, a refund will be issued less original shipping charges and return shipping charges and the restocking fee. Returns are typically processed within 3-5 business days of receipt at our facility. Please allow up to 5-7 business days for your credit card provider to process the refund. All chairs are custom ordered and are, therefore, not eligible for return, unless defective or damaged in transit. Before placing a chair order, you may wish to contact Pacific Ergonomics at 619-546-0872 to discuss all options to ensure a proper custom fit. We accept returns on all of our accessories providing they are unused and in the original packaging. We do charge a 35% restocking fee, in addition to return shipping charges. All accessories must be in original condition. While we assist customers in tailoring each product for their individual needs, we offer endless configurations in order to customize each item. We always strive to deliver items to our customers as quickly as possible. The allowable time to change an order before it is in production is very small. All orders placed at pacificergo.com or by phone with one of our team members are subject to cancellation or change fees. We do not charge any additional fees over and above our cost incurred on any item. Once an order is placed, we will make best efforts to accommodate changes requested within 24-48 hours of the order. This may include address and specification changes. Depending on each manufacturer’s policies and order processing systems, we may or may not be able to accommodate a cancellation request. Please contact us immediately at (619) 546-0872 to change or cancel an order. For details about tracking and managing your shipment, contact us through orders@pacificergo.com. Most items ship via Standard Ground service and typically do not require signatures. It is the customer’s responsibility to request a signature to be required at time of delivery, and we cannot be responsible for orders stolen or tampered with after a successful delivery. It is the responsibility of the customer to verify the shipping address and all contact information when placing an order. This is especially important for freight shipments. For any freight shipment, it is the responsibility of the customer to coordinate delivery directly with the freight carrier. Charges incurred as a result of a failure to coordinate delivery (such as storage and reconsignment) are the responsibility of the customer and will be re-billed accordingly. An adult or designated responsible party must be present to accept any freight delivery, as these items will not be left at an address without a signature. An appointment is typically scheduled 1 business day prior to delivery. It is the policy of most freight carriers to deliver “curbside”, meaning that customers are responsible for transporting items from the original drop-off point, which may be the curb if a dock is not available, regardless of size. All shipping damages must be reported immediately, but no later than 24-48 hours after delivery. It is very important to thoroughly inspect all boxes before signing any delivery slip and to note any and all damages or shortages in writing, on the freight documents with the driver. Please retain all packing materials and boxes associated with the shipment, as these may be needed to complete a claim. Photos are required for claim processing. Once the delivery has been accepted, all items must be inspected and any damage photographed and reported within 24-48 hours of receipt. In the case of damaged merchandise, Pacific Ergonomics will work closely with our customers, manufacturers, and shipping companies to facilitate and resolve claims. Please note that all shipping damages and claims will be addressed in accordance with the manufacturer’s policies. All warranty claims are processed in accordance with the manufacturer’s policies. In many cases claims should be filed directly with the manufacturer, and Pacific Ergonomics will do everything we can to facilitate the claims process. Manufacturer’s warranties will not cover any costs associated with repairs. Please note that is very common for manufacturers to send replacement parts to address warranty issues. Pacific Ergonomics and our partners will ship parts associated with warranty claims for FREE within the 48 contiguous United States, but we are not responsible for shipping costs outside of that area. Exceptions may apply to warranty parts for items that originally shipped to Alaska and Hawaii. PLEASE READ OUR TERMS & CONDITIONS WITH CARE BEFORE USING THE PACIFIC ERGONOMICS WEBSITE. USING OUR WEBSITE SIGNIFIES THAT YOU ACCEPT OUR TERMS & CONDITIONS. IF YOU DO NOT AGREE WITH OR DO NOT ACCEPT ANY OF THESE TERMS, PLEASE DO NOT USE OUR WEBSITE. 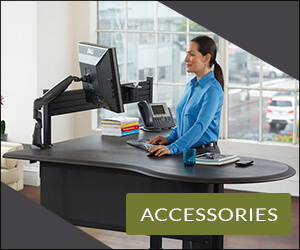 The pacificergo.com website is owned and operated by Ergonomic Solutions, Inc., dba Pacific Ergonomics. All of the materials contained on this website, including all information, text, software, pictures, images, sounds, video clips, audio clips, illustrations, and graphics (collectively the “Content”) are either owned by Ergonomic Solutions, Inc., or they are licensed or copyrighted. Ergonomic Solutions, Inc., and its licensors retain and reserve all proprietary rights in and to the Content. You may copy, or download a copy to your own, single computer, for your own personal and non-commercial use, of any Content on this Website provided you retain, and do not delete or change, any copyright, trademark or other proprietary notices contained in the original Content within such copies. You may not use on your own website or on anyone else’s website or in any networked computer environment, anything you copy or download, nor may you or anyone else use any Content in any other commercial or public manner or channel, or redistribute any portion of the Content, unless you have first received Pacific Ergonomics’ prior written consent to do so on Pacific Ergonomics letterhead signed by Pacific Ergonomics’ President or CEO. You also may not alter, in any way, any of the Content you copy or download. If you violate any of these Terms & Conditions, your authorization to use our website terminates automatically, and you agree to immediately destroy any copies you have of any portion of the Content. The various Pacific Ergonomics names, marks, logos, products and services referenced on this website are either trademarks or service marks, or registered trademarks or service marks, of Ergonomic Solutions, Inc., or its affiliates. Other product and company names referenced on this Website may be the trademarks or service marks of others. The unauthorized use of any trademark or service mark displayed on this Website or any other trademark or service mark of Ergonomic Solutions, Inc., or its affiliates is strictly prohibited. Any rights not expressly granted herein are reserved to Ergonomic Solutions, Inc.
We reserve the right to refuse any order you place with us. We may, in our sole discretion, limit or cancel quantities purchased per company, person or household or per order. These restrictions may include orders placed by or under the same customer account, the same credit card, and/or orders that use the same billing and/or shipping address. In the event we make a change to or cancel an order, we will attempt to notify you by contacting the e-mail and/or billing address or phone number provided at the time the order was placed. We reserve the right to limit or prohibit orders that, in our sole judgment, appear to be placed by dealers, resellers or distributors. Due to the custom nature of our products, credit cards will be charged once the “Place Order” button is clicked on the checkout page. Please contact Customer Service with any questions or for more information. Pacific Ergonomics collects sales tax on all purchases delivered within the state of California. We do not collect sales tax for any other state. If you believe you are responsible for any taxes (i.e., use or sales taxes) as a result of your transaction with us, it is your responsibility to remit such taxes to the appropriate taxing authority within your state. The content on this site does not constitute medical advice. You should consult your doctor before beginning any exercise, training or athletic program. Pacific Ergonomics is not responsible for any medical or health problems that may result from your engaging in any activities described on this site or from any information you obtain from this site. If you ever feel discomfort or pain, you should not continue those activities and/or consult your doctor or medical provider. Certain links on this Website may lead to sites and resources that are not maintained by or under the control of Ergonomic Solutions, Inc. In addition, Ergonomic Solutions, Inc., is not responsible for the contents of any such referenced or “linked” websites or resources or for the availability of access to such sites. A link to another website or a reference to a product or service by trade name, trademark, provider or otherwise does not constitute or imply an endorsement or recommendation by Ergonomic Solutions, Inc., unless expressly stated herein. 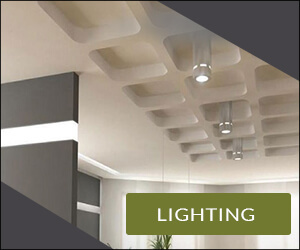 We have made every effort to display as accurately as possible the colors of our products that appear on our site. We cannot guarantee that your computer monitor’s display of any color will be 100% accurate. THE INFORMATION CONTAINED ON THIS WEB SITE IS PROVIDED TO YOU ON AN “AS IS” AND “AS AVAILABLE” BASIS WITHOUT WARRANTIES OF ANY KIND, EITHER EXPRESS OR IMPLIED, INCLUDING, BUT NOT LIMITED TO, WARRANTIES OF TITLE OR IMPLIED WARRANTIES OF MERCHANTABILITY OR FITNESS FOR A PARTICULAR USE, OTHER THAN THOSE WARRANTIES WHICH ARE IMPLIED BY AND INCAPABLE OF EXCLUSION, RESTRICTION, OR MODIFICATION UNDER APPLICABLE LAW. UNDER NO CIRCUMSTANCES, AND UNDER NO LEGAL OR EQUITABLE THEORY, WHETHER IT LIES IN TORT, CONTRACT, OR OTHERWISE, SHALL PACIFIC ERGONOMICS, OR ANY OF ITS SUBSIDIARIES, AFFILIATES, PARENT COMPANIES, SUPPLIERS, OR INDEPENDENT CONTRACTORS, OR ANY OF THEIR DIRECTORS, OFFICERS, EMPLOYEES, OR AGENTS, OR ANYONE ELSE INVOLVED IN DEVELOPING OR DISTRIBUTING PACIFIC ERGONOMICS WEBSITE, BE LIABLE FOR ANY PUNITIVE DAMAGES OR ECONOMIC OR OTHER HARM OR INJURY RESULTING IN ANY WAY FROM THE USE OR INABILITY TO USE, PACIFIC ERGONOMICS WEBSITE ANY WEBSITES LINKED TO THIS SITE OR THE MATERIALS OR INFORMATION CONTAINED ON ANY SUCH SITE, INCLUDING, WITHOUT LIMITATION, ANY ECONOMIC HARM, LOST PROFITS, DAMAGES TO BUSINESS, DATA OR COMPUTER SYSTEMS, OR ANY INCIDENTAL OR CONSEQUENTIAL DAMAGES RESULTING FROM RELIANCE ON ANY CONTENT OR RESULTING FROM ANY INTERRUPTIONS, WORK STOPPAGES, COMPUTER FAILURES, COMMUNICATION FAILURES, DELETION OF FILES, ERRORS, OMISSIONS, INACCURACIES, DEFECTS, VIRUSES, DELAYS, OR MISTAKES OF ANY KIND, EVEN IF YOU HAVE ADVISED PACIFIC ERGONOMICS OF THE POSSIBILITY OF SUCH DAMAGES. 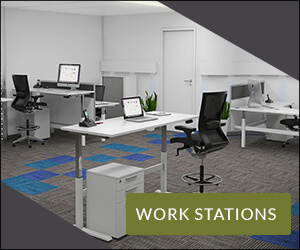 This Website is controlled and administered by Ergonomic Solutions, Inc., from its headquarters within the State of California, USA. Unless otherwise specified, the Content on this Website is presented solely for the purpose of selling furniture, ergonomic products and accessories and promoting services available in the United States, its territories and possessions. Ergonomic Solutions, Inc., makes no representation that access to this Website or its Content is appropriate or available for use in other locations. Access to this Website or the Content from any location where such access is illegal is prohibited. Users shall not download or otherwise export or re-export any Content except in full compliance with all U.S. and other applicable laws and regulations. Thank you for visiting our website. We hope you are completely satisfied with your purchases.